On the outskirts of the town is a supermarket we tend to visit. It has all manner of French produce and in particular duck in confit and cassoulet. I have always been fond of duck and in confit has to be one of the best ways of eating it. On this last trip we picked up a packet of biscuits of a type called “Palets Bretons”. We had never tried them before but that didn’t stop us, nothing ventured nothing gained as they say. They were in fact delicious as they melted in the mouth. I decided that I had to have a go at making my own. This is one recipe where I would recommend not substituting the butter for margarine or similar. I must admit to being undecided as to which is better for one’s health and when I am in doubt I tend to opt for the natural product. Unfortunately my trust in food processing companies is low and waning. Also, importantly, I think that in this case the butter improves both the texture and the flavour. For the rest of the post and the recipe please click here. 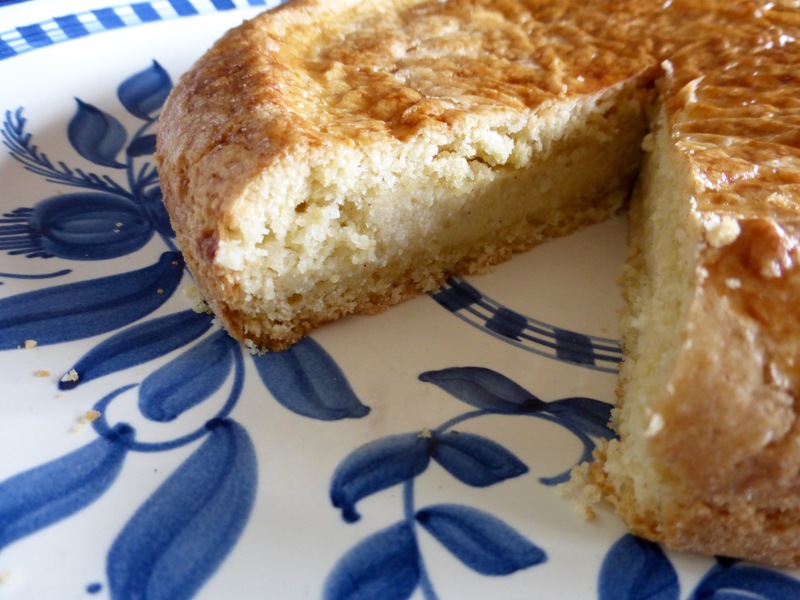 A few posts ago I mentioned the town of Laruns in a post on the Gâteau Basque. As I wanted to mention three different recipes related to the town I always planned on writing three posts. This is the second of the trilogy. The French really do know how to enjoy good food. I have had some really memorable meals in France, without having gone to any of the more famous restaurants. It seems like even the local cafe in some forgotten village has a board of fare worthy of mention. They take the most simple of ingredients, with uncomplicated cooking methods, and turn out some real culinary gems. So when my wife and I decided to go on the trip to Laruns, we decided to have lunch out. I like to try new dishes and I opted for the “Garbure”. The post today looks at this simple but oh so delicious dish. 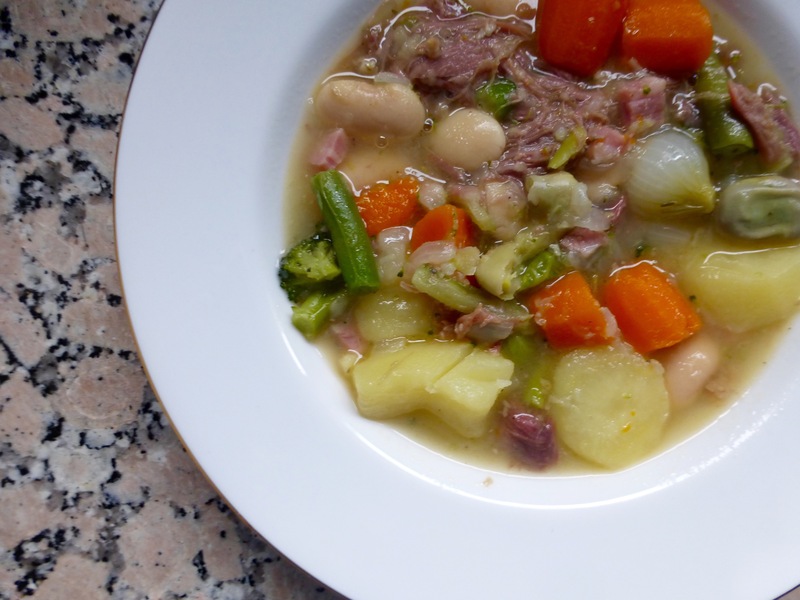 It uses confit duck leg to give the stock a good flavour. Please click here to see the rest of the post! As you know I am all about in season produce. 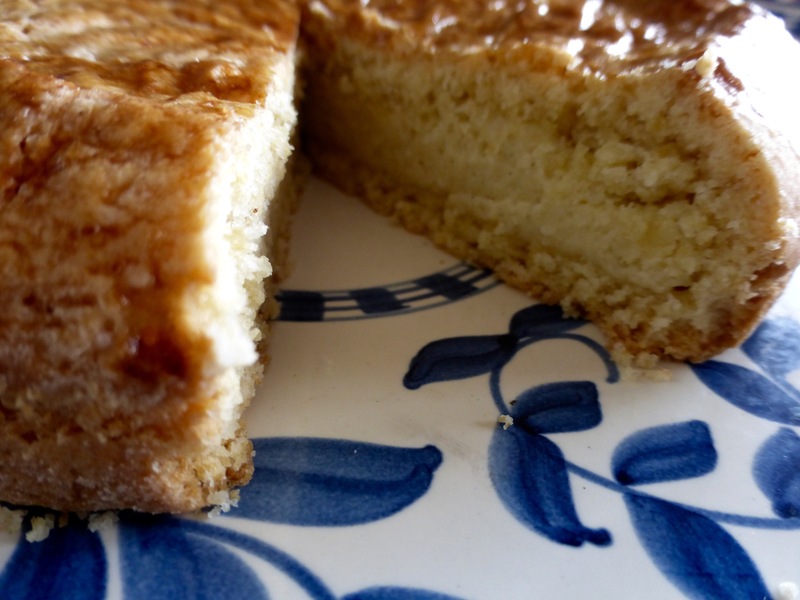 Today I thought I would talk about one of my favourite cakes, as it contains almonds, and here at least it is the almond season. I have also just come back from a trip to Laruns, my original source of this delicious delicacy. Laruns is a small French town in the central Pyrenees. It is the last major town before the Portalet pass into northern Spain. The town has much to recommend it, from the Gabas cheese from just up the road, to the chilled sweet white wines that are perfect for hot summer days, or the Gâteau Basque. continued to buy them every time I have been down that way. 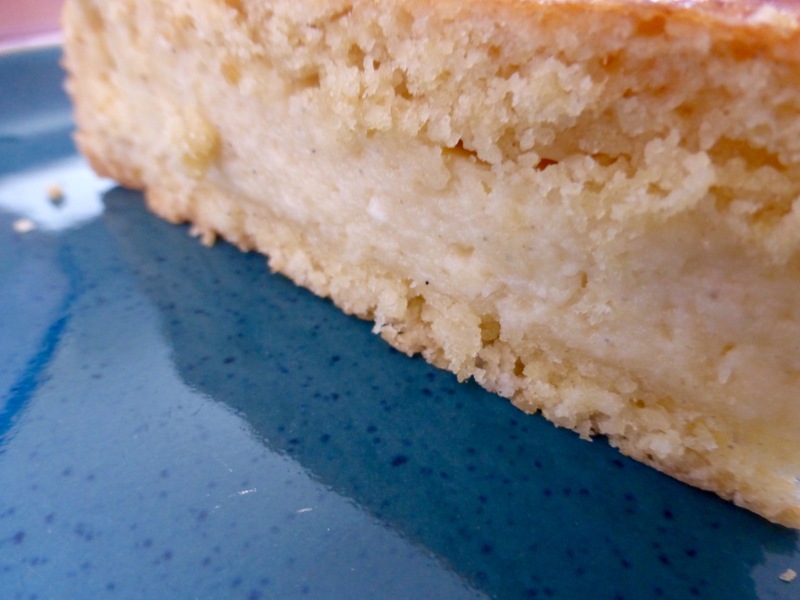 As I commented in a previous post, I love custard, and this gâteau has a custard like middle layer. Unfortunately I could never work out what the outer layers were! The way it just melted in the mouth was so divine…… I decided I had to find a recipe. The gâteau gets its name from the Basque Country, which is an area on the Atlantic coast of Spain that has a narrow border with France. Good food is to be had in most if not all of Spain, but is especially good in the Basque Country. As it is wetter than much of Spain, vegetables grow well and there is good grass to fatten livestock or to produce good quality milk and cheeses. They also have the Atlantic coast for fishing. I decided it was time to consult my friend and advisor Google, who would surely know the answer. Alas it was not to be. A couple of years went by without much progress. I would buy a Gâteau Basque in Laruns and upon eating the last crumb burst into a flurry of activity trawling the web in search of a recipe. I found very few and those that I found never gave the gâteau I was looking for. Also, although I travelled relatively often to the Basque Country, I never actually saw a gâteau in a cake shop either. Although this recipe is longer and more complex than what I normally post, do not be put off. It is not that difficult. Please also note that although the pastry is delicate, it shouldn’t be rolled out too thin. This is one of those recipes, thankfully, that bucks the current trend of wafer-thin pastry. This pastry is there to be eaten and is delicious. So just roll it out normally and put into the tin. If you do end up with breakages or holes in the pastry, they can be fixed by simply pressing in a little more dough. So don’t worry and give it a try. Do not use commercial shop-bought pastry, it will not be the same. Boil the milk with two thirds of the custard filling sugar, the vanilla pod and the almond essence for a few minutes. Leave for a couple of hours to steep. Open vanilla pod. Extract seeds and beat back into the milk. Meanwhile make the pastry. Mix the flour and baking powder then beat in the egg with a spoon. Beat in the sugar and the melted butter. Add just enough cold water, normally just a few drops, to make a pastry then seal in cling film for about 30 minutes. Note that if margarine is used instead, you should chill the dough for at least an hour. Butter will harden quicker and the pastry will not roll out well. With a whisk beat together the custard filling egg yolks, remaining sugar and the flour. Slowly beat in the milk. Beat in the almonds. Bring back to the boil to thicken up the custard. Take a 20cm diameter tin with straight sides. Grease with butter and sprinkle with flour before use. Roll out two thirds of the pastry and cover the base and the sides of the tin. Leave an overlap. Pour in the custard. Take the other third, roll out and use the base of the tin to cut out a circle. Carefully place over the custard. Beat together the glaze ingredients. Trim the pastry along the sides of the dish if necessary, there should be just enough to fold over onto the pastry circle lid. Paint the edge with a little of the glaze and fold down the pastry onto the lid pressing gently to seal around the edges. Paint over the top of the gâteau with the rest of the glaze. Bake for 30 minutes at 190ºC. Leave to cool in the mould. Well I hope you like this French speciality. Give it a try and let me know what you think via the comments option on the post. Thanks.